LONDON, June 28 (Reuters) -- Pension funds are deepening their commitment to farmland, upping investments by billions of dollars and moving to active strategies, as a hedge against potential inflation and to diversifty from riskier investments. Leading the charge are U.S. and European pension funds, although it is estimated that the amount of institutional money invested is less than 1 percent of global farmland value, with concentration in food exporting regions. A growing world population, limited water resources and finite amounts of land available have made farmland attractive to investors beyond traditional owners -- private families. U.S. pension fund TIAA-CREF has around $2 billion invested in farmland of the $426 billion it has under management and is looking to expand its farmland holdings. "If we found the right opportunities we'd be willing to double our existing exposure over the new few years," said Jose Minaya, managing director of global private markets at the fund. "This is just another asset class that has the potential of going the route that real estate, private equity, hedge funds did in the past," said Minaya, estimating between $5 billion and $15 billion of institutional money is invested globally. The way the groups invest is also changing, with some now forming partnerships to access and operate farmland. TIAA-CREF prefers to own farmland directly rather than through funds, said Minaya. "In general the larger pension funds are moving closer to a more active versus passive investment style," he added. Jos Lemmens, senior portfolio manager at Netherlands-based APG, said it plans to raise its interest to around 1 billion euros. Traditionally the fund manager -- which has 220 billion euro under management -- has invested in agricultural commodities via commodity futures markets, but since 2007 it has also invested in farmland. "Part of (our) strategy is more efficient allocation to commodities, part of that strategy is to own real assets, especially land," Lemmens said. Netherlands healthcare pension fund PGGM, which has around 90 billion euro under management, has said it may raise its allocation of funds to farmland at the next annual review. Pension funds are known for being risk averse and farmland is no exception, with funds focussed on food exporting countries with a stable political backdrop. The 2007-08 food price spike, which sparked food riots in some countries and caused governments to review food security policies, has also put a spotlight on food producing assets. 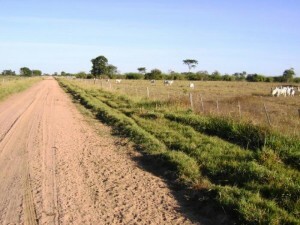 Interest in foreign farmland has come from countries with limited food production, such as Saudi Arabia and China, as they looked to secure future needs. The strategies adopted by China and some of the major governments purchasing farmland have been controversial in Africa and parts of Asia where food security is an overriding issue locally, leading some funds to tread carefully. "If you're in a country where you're a net importer of food and suddenly you have foreigners buying land, that could get politically sensitive, so we've generally stayed away from countries that are big net importers," said Philipp Saumweber, managing director of Saumweber Holdings. Some analysts are also sceptical about how easily pension funds can expand holdings. "There's lots of interest but little action. It's difficult to deliver what these funds want; vast acres of cheap land in politically stable regions," said Andrew Shirley, head of rural property research at estate agent Knight Frank. Shirley said Brazilian farmland prices vary dramatically from less than 500 reais ($281) per hectare for undeveloped forest to more than 20,000 reais ($11,251) per hectare for double-cropping arable land. In the United States, where pension funds have been investing for some time, the U.S. Department of Agriculture averaged arable values for the corn belt at $9,562 per hectare in 2008, Shirley added. "There are undoubtedly opportunities for investors, but finding them is not easy or cheap and requires a huge amount of knowledge and expertise. There is no simple solution for pension funds looking to invest in global farmland," he said. Pension funds' farmland assets are concentrated in grain exporting regions including the U.S., Latin America, Central and Eastern Europe and Australia. As some of these regions are more mature, land scarcity can also help drive up values. "Seventy percent of productive land is already in use in the U.S. so the expansion of real estate is limited. Whereas in Brazil only 20 percent of arable land is used," said Suzanne Petrela, partner at private investment firm Red Reef Partners. Africa is seen as an interesting investment opportunity but the risks have so far limited investments. However, the region's overwhelming potential is proving a long-term draw. "As the market develops as a whole people will see opportunities in different regions and there's always going to be pools of money that are seeking higher return strategies," said Minaya. While some of the bigger pension funds in Europe deepen their investments, others have started to latch onto the the idea of farmland as an alternative investment. U.K.-based BMS Group pension scheme and Merseyside Pension Fund, which do not hold farmland, is attracted by the long term investment horizon of between 10 and 30 years for farmland as it helps to manage illiquidity with farmland sometimes proving difficult to buy and sell quickly. "The investment characteristics I am looking for are steady long-term growth, ideally sound inflation hedge, preferably lower correlation with equities; looking to capture value through active management; socially responsible investment," said David Larson, chairman of the BMS Group pension scheme.